Suggestive selling is one of the most powerful tools any retail sales associate can have. Not only can it increase basket size and sales, but when done right, suggestive selling allows customers to discover things they actually need, and helps them get the most out of their purchases. This, in turn, increases customer satisfaction, enables retailers to build trust, and keep shoppers coming back. 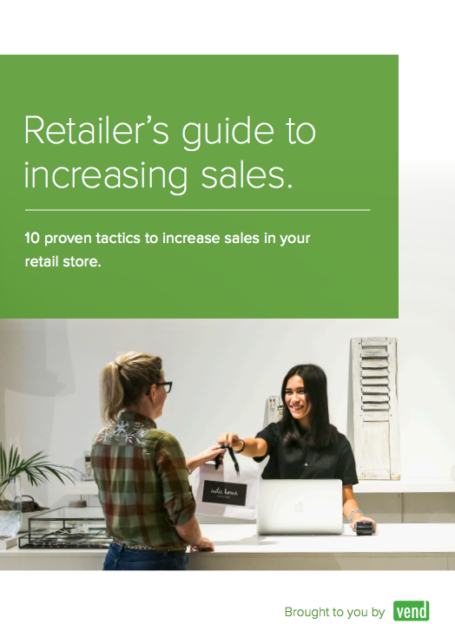 To help you step up your suggestive sales efforts, we had a chat with Reese Evans, the Content and Communications Manager for Vend U, where she trains retailers on how to run their stores better. 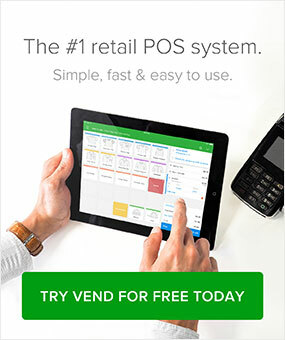 Prior to joining Vend, Reese worked as a sales associate and store manager, and has consistently been named as a top performing salesperson. And with over 10 years experience in retail sales and customer service, she’s truly an expert on suggestive selling. In this post, Reese shares her top tips and insights on how retailers can effectively suggestive sell. Check out what she has to say below. In this section, we’ll talk about the different approaches you can take when making sales suggestions and offer tips to maximize your results. According to Reese, the best way to understand shoppers is to engage them in conversation. Talk to them, ask questions, and be genuinely interested in what they have to say. You’ll be surprised at the insights you get out of doing so. Reese says that when associates gain insights into the customer’s lifestyle and combine their knowledge with a thorough understanding of the merchandise on hand, they can go further and suggest things the shopper didn’t even know they were looking for, provided that they can show the value in it and how it can improve their lifestyle. Associates should be “masters of their inventory,” says Reese. Having adequate product knowledge allows you to suggest items quickly and effectively. For instance, if a customer tells you that something is out of their budget, you should be able to quickly run through your inventory and suggest something that’s similar, but at a lower price point. 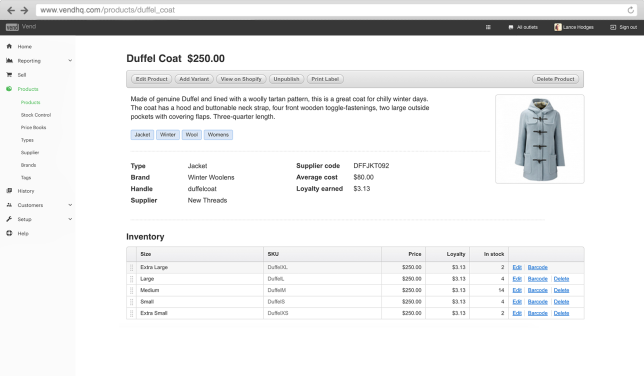 Knowing your inventory inside and out also helps you and your staff drive interest and sales. “Retailers should make sure that associates have some background on the store’s products,” she adds. “That could include the story of a designer or the origin of the item. Additionally, having the necessary product and stock information prevents you from suggesting things you don’t have, she notes. 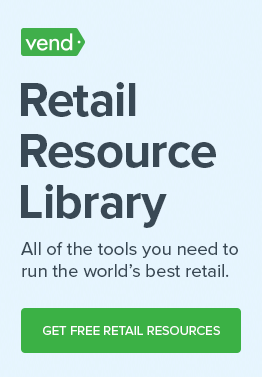 Prevent scenarios like the one above by staying on top of product and stock knowledge. Regularly update your POS and inventory management system, and keep the data handy, so you and your staff always have access to the info you need. Another good way to ensure that all team members are familiar with your products is to set aside time to discuss your merchandise with the staff. As an example, Reese brings up Elevator, Toronto’s leading accessories and jewellry boutique. Store owner Niko Downie takes the time to unbox merchandise with his staff, so they can talk about each item. “Elevator does this every time they have new merchandise come in, and I recommend that retailers adopt a similar approach,” adds Reese. To accomplish this, she recommends treating the customer like they’re your best friend. Most customers love shopping with their close friends because they trust these individuals to tell them if something looks good or if an item isn’t right for them. Establishing a similar connection with your shoppers will go a long way not just when it comes to sales, but also in terms of cultivating strong customer relationships. Reese also talks about how shopping is about the experience. If a customer feels like they’re shopping with a friend, they’re going to stay longer and feel more comfortable, rather than being in a store wherein the associate gives them the cold shoulder and only starts engaging when they think the shopper is willing to make a purchase. Aside from product and inventory knowledge, see to it that your staff is also on top of the latest industry news and trends. You don’t always have to be explicit with the products you’re suggesting. Depending on the customer, you could be a bit more subtle with how you recommend things. Now that we’ve discussed how you can effectively suggest and sell, let’s talk about when to implement the above-mentioned tips (and when to back off). “The best time to suggestive sell is after you’ve gotten to know the shopper. Once you know what they want to buy, what it’s for, and what their size is, you’ll be able to make more relevant suggestions,” says Reese. There are also some suggestive selling opportunities when a customer is already holding a product, she adds. Associates could also suggest alternatives. If a customer objects to the price of an item, the salesperson could recommend items at a lower price range. Reese advises merchants to avoid suggestive selling when a customer has just walked into the shop. She reiterates that retailers should take some time to ask questions and engage in conversation, so they can understand their customers’ needs and suggest items accordingly. “It’s really important to listen and realize when suggestive selling won’t work,” mentions Reese. Learning how to effectively suggestive sell can do wonders for your bottom line, but you shouldn’t just do it for the sales. Practice suggestive selling to genuinely add value. Do it because want to help shoppers find products they want and need, and because you want to educate them on how they can get the most out of their purchases. Do you have any other tips when it comes to suggestive selling? Let us know in the comments. This is a GREAT post. Suggestive selling is so often done poorly. Corporate stores hand down orders stating that every sale needs to have a certain number of products. (And horrible catchphrases to go with them. Two from my time: They need 3 to go free! and We need to sell 5 to thrive!) Managers frequently try to move slow products by insisting that sales associates suggest a certain product to every customer, as well. Both these methods are MISERABLE. They completely throw out the idea that every sale is different and every customer has a different set of needs. And ultimately, it makes life really hard for the sales associates. I remember once, I was showing a difficult customer around the store, and I was finally bringing her out of her shell, showing that she could trust me to sell her only the products she NEEDED, when my equally difficult manager started making signs behind the woman for me to show my customer this sweater that was not at ALL what my customer was looking for. My manager kept doing it, and finally, I asked the woman if she wanted the sweater. She got extremely upset and left the store without purchasing. Every customer is different, and you have to treat them personally. As always, we appreciate your thoughtful and very detailed comment! It’s good to hear about first-hand stories on poor suggestive selling. I’m sure many retailers will learn from your experience, so thanks for sharing. And I wholly agree that suggestive selling is often done poorly in retail. As a consumer, I often come across associates who immediately start suggesting items (usually those that are on sale) the moment I walk into a store. This is such a turn off, and I wish merchants would understand that I would be more likely to buy their upsells if they take the time to figure out what I need and suggest relevant items. Great post – very informative and could apply to sales in many industries. Reese is spot on, the sales process is enjoyable when suited to the client needs. If you want to just push product, open an online store. The value of client facing sales is the experience you create, which in turn creates loyalty, referrals and repeat business. “The value of client facing sales is the experience you create, which in turn creates loyalty, referrals and repeat business.” –Very well-put, George. Couldn’t agree more. This is a very enriching article for someone like me who looks at the industry from a data perspective. Extremely insightful. Thanks! Glad you found the post insightful, Rohit! Thanks for the kind words. Great article! I think every retailer needs to train sales associates on these simple yet insightful techniques.